German Chancellor Angela Merkel said that sanctions against Russia will be lifted when the ceasefire in Ukraine holds. 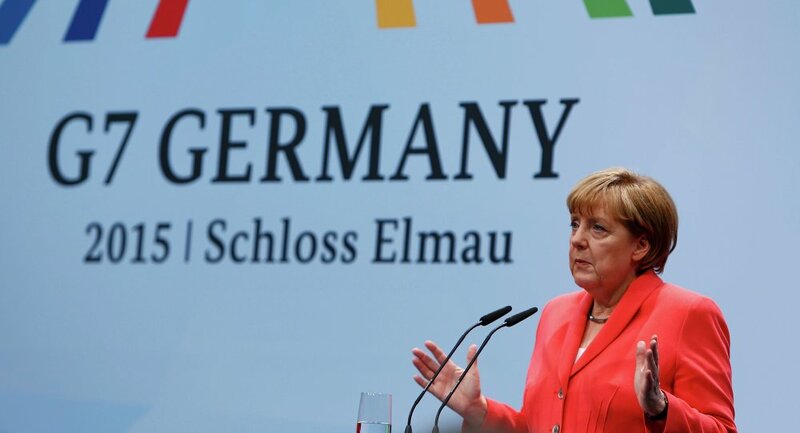 GARMISCH-PARTENKIRCHEN (Germany) (Sputnik) – Sanctions against Russia will be lifted when the ceasefire in Ukraine holds, and the Minsk peace agreements are implemented, German Chancellor Angela Merkel said Monday after a meeting with other G7 leaders. “We all agreed that the lifting of sanctions should be tied to the implementation of Minsk,” Merkel told reporters. According to the German chancellor, the G7 leaders had a lengthy foreign affairs meeting, during which they reached “a good amount of agreement” on Ukraine. “We also condemned the annexation of Crimea, which is against the international law,” Merkel said. The G7 will create a support group in Kiev to help in conducting reforms and fight against corruption, German Chancellor said. “G7 ambassadors will create a support group in Kiev for the conduction of reforms and the fight against corruption,” Merkel said at a briefing after the G7 summit in Germany.